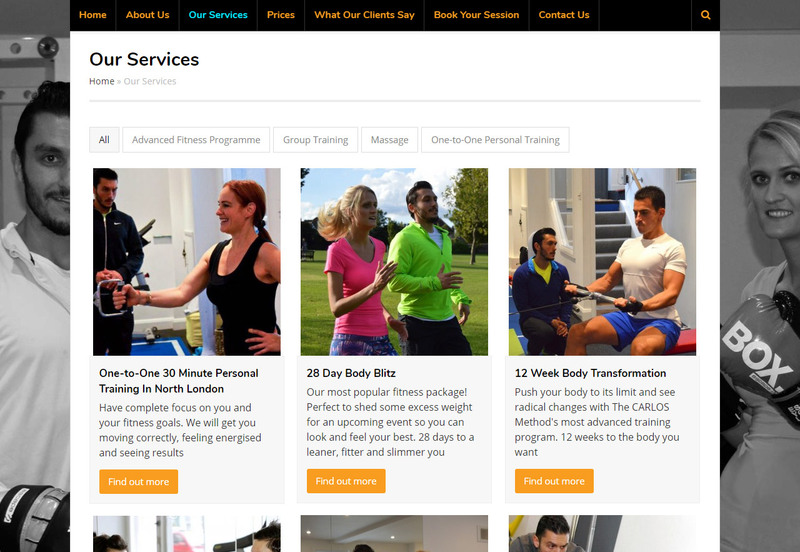 The Carlos Method is a personal training studio specialising in 30 minute workouts based in North London. The business owner wanted a WordPress website that could be easily edited and updated so that he could keep his site up to date and administer his own SEO strategy. The design brief was to create a site with clear call to actions, and simple navigation, that was inviting and friendly to users. 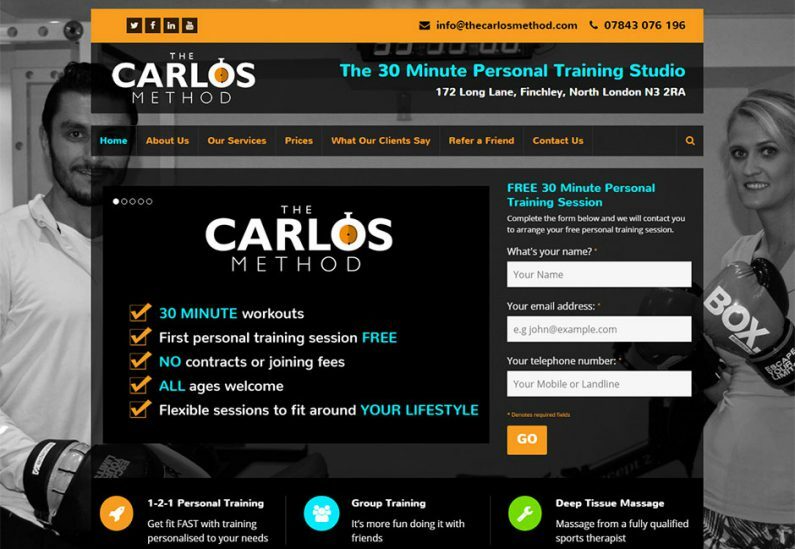 The Carlos Method branding was already established with a strong black, white and orange theme. Turquoise was added to the design to really make the site “pop” with energy. Once the site’s visual identity was settled the site was then developed using a custom built child theme to support staff, services and testimonial custom post types – each with their own bespoke archives. The site build also incorporated fully responsive design, support for Google maps, contact forms and custom built pricing tables. Amanda is a very professional and knowledgable web developer. She has great technical knowledge and is always updating her learning with various courses and updates that she completed throughout the year. She also has a great eye for design. I gave her a design brief for my website and she came back to me with a fantastic new look, it was perfect. She really knows her stuff and is great to work with. Highly recommend her.